We have heard tales and tales of emotional woes from Blackface on how 2face stole the all-time successful song, African Queen from him. We heard him tell 2face to go back to school and stop being an illiterate. We heard him vehemently oppose 2face’s call for the February street protest. Well, it looks like he’s going to take our advice and actually do something about it. 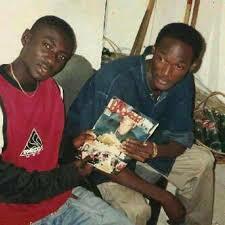 Blackface is now calling for the Federal Government to arrest his former colleague and friend 2face over song theft. Wait, did we say he was actually going to do something about it? Well, Blackface, until your next 2face-stole-my-song rant, we wish you goodluck.